8:30 to 10:00 watch the live stream of CUEBC (Computer Users Educators of B.C.) keynote by David Warlick. iOS 5: is it for the Classroom? I was eager to upgrade to iOS5 this week and foolishly tried to download it minutes after it was released on Wednesday. Well it took forever to download and since it was a large file I had overloaded the capacities of my schools WiFi. Although the download problems may be more from too much demand on Apple's servers. I ended up having to continue the download and install on my iPad at home. 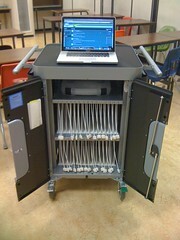 I though the next day at school that I would try to sync all 30 iPads at once in the sync cart. Why not I though, it normally works like that for all other updates. Except I found out that it would only start to do the iOS upgrade one iPad at a time with someone having to keep clicking buttons throughout the install. After waiting over an hour for the first iPad, it all ended with "unknown error occurring" message where the upgrade failed. Then the same thing happend with the second iPad. So at this point I gave up on a mass sync, and plugged in a single iPad and went through the upgrade...close to 1 1/2 hours each...I am still not finished upgrading and will slowly work on them next week. Apple needs to have better and less time consuming ways available for the education market. I had my hopes up on the iCloud as a way for students to store and possibly hand in their completed work. 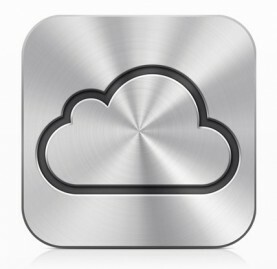 However during the setup it appears that the iCloud is setup with your iTunes account. This is a problem because we have all the iPads setup with the same iTunes account (or Apple ID). So for the time being, until I research it more myself, I turned iCloud off. 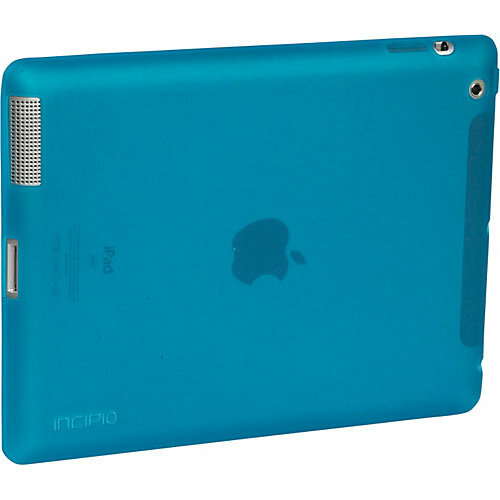 Initially when we got the iPads we bought the Incipio Smart feather for iPad 2, we were planning to eventually buy SmartCovers for them later when we had more money. In the mean time, this past week we noticed that 3-4 cases broke in the top corner and would not stay on the iPads anymore. As I looked at other cases closer, the majority of them had micro-fracture cracks and would eventually break also. I contacted Incipio at the start of the week and today I got an email that they are replacing all of our cases with another model that is softer and more malleable. I think this might be a better option for us since we decided that we no longer want the Smartcover. Thank you for some great customer service from Incipio, you don't often get that from many companies today. This week has gone quite smooth overall. The students are adapting well to using the iPads daily in our classroom and I find that I have to spend less and less time on the basics. They are becoming more proficient in moving from app to app and website to website. I think we are learning together to be more efficient. This week I decided to try out some video authoring on the iPad. So I had some assignment for two of my classes one using the Animoto app, and the second using iMovie. Create some images on your camera roll with some text ...they could use any apps they wanted. Open up Animoto app, login to the account I created. Then start by adding the pictures and putting them in the order you wish. Choose your music from the selections built into animoto. Then publish and upload it to animoto. All of these steps went well except for #5. The Animoto app seems to be really prone to crash and did so numerous times, it really impeded the flow of the project for some. Those who finished and then hit publish found themselves waiting forever (it appeared to be frozen) for the video to upload and render. I think this may be that our WiFi system hit its limit. However, I really don't think it should be so easy for it to freeze up. I managed to create a quick video myself on my iPhone and it uploaded quite fast on 3G. So I am not sure why we couldn't get this working so well. Another WiFi infrastructure issue maybe? I ended up having many students switch over to iMovie where we had no problems...I just had to give them a quick tutorial on how to insert images and sound. My recommendation is to NOT use the Animoto app any longer until they release an iPad only app. Another group of my students did some great work in iMovie this week. They easily figured out how to add photos, video, text and music to create some very nice group videos. The only issues that surfaced was that there seems to be no way to divide video clips into shorter segments so they can insert pictures. This is easy to work around by not filming longer segments. Again, I had some difficulties when students went to upload to our class Youtube account. It was slow and I basically tried to only have one student at a time upload. This ended up stalling many groups from uploading their finished video, which is why I am still waiting for some. These technology issues are not the best use of my time, but I had no choice. I will definitely have students use iMovie again and I think their proficiency with it will make it go faster. This week I also did some experimenting with a backchannel conversion using SoapBox. I heard about this from someone on my PLN: twitter. Anyway all I did was create a free account with Soapbox, then create a new Box for my class. Then soapbox displays an event code that students enter to join the Soapbox. Now I had students logged on to this on their iPad while we watched a video. I posted questions here as the video went along and encouraged students to chat, ask questions, and answer other students questions. Beside a few off topic posts by students (which I could delete while the event was open) it went really well. I am going to experiment with this some more in the future and encourage more participation. One thing I liked about Soapbox was the fact that the chat was not public like twitter and is really easy to use for participants. Well it had been a good week and as alway, I expect I will learn lots more next week. This week has not been all that revolutionary in using the iPads in class. But I have found out some ways of using them and some limitations. I am finding that I have trouble getting 2-3 iPads to automatically sync when I plug them into the Bretford Powersync 30 iPad cart. I have not figured out why yet, but I just have to plug them in separately, so its not that bad of an inconvenience. I probably should call Bretford up about this. This week I spent alot of time trying to get the School District mail setup on all the iPads with a generic "no-return" email. However, to date all I have is some frustration, wasted time, and no ability to have students email from their desk. One of the problems that I am having is getting student created work off of the iPads for me to assess. I have been involved with a great discussion on this over twitter with some tweeps and this has given me some ideas. 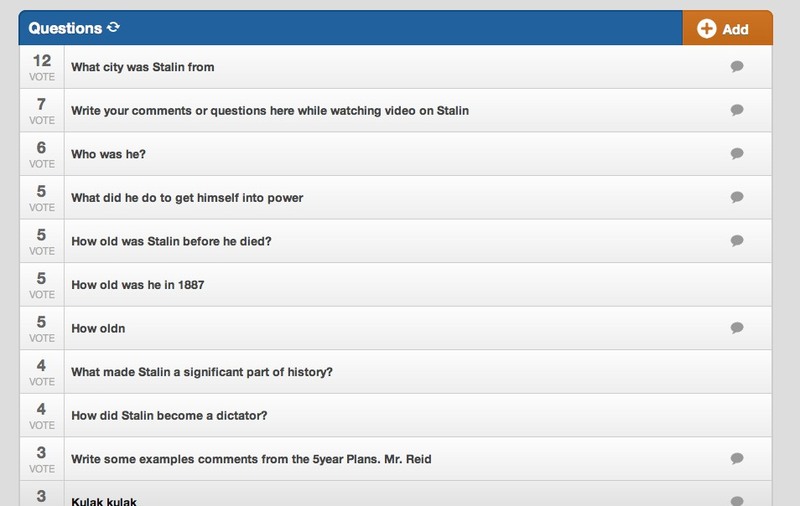 students enter their work directly into a Moodle forum, this works well and is easy for me to access and mark. The only problem is everyone in the class can see each others posts...might be okay for some things, but some copying can occur. students create their work in the Pages app and then copy/paste it into a hand-in folder (called: assignments-online text) in Moodle. I used this for the first time this week and it worked great. Students posted a historical letter they wrote, it was private and I could easily mark, assess, and write return comments for them. I plan to continue to use this method. I had students setup Evernote accounts this week for them to enter notes into and be able to access them on the iPads at school and at home on their own computeres. But, the sharing features really only work on the paid version, so this won't work for sharing files. If I want to share some files with students, I can put them up in Moodle in less than a minute. I love Evernote, but for class its only good for student to keep notes organized. I have attempted to get students to put a Pages file into dropbox, but you can't do that... Too bad because this would have been a convenient way to have a "hand-in" shared folder. I have also resorted to walking around and physically viewing and assessing student work right off the iPad. Not very efficient and it interrupts their other work. via email, it should be easy to setup, but no I am having infrastructure issues with IP ports blocking connections. I might resort to setting up a generic hotmail account to test and see if students can just email me content. Google docs....but its relatively incompatible on the iPads. Why can't Apple and Google just get along. I would like to be able to have students be able to print from their iPads. I am not sure how to go about this and what it might cost though. I do know that we can get a WiFi printer or we can setup dedicated print-servers. But again not sure how to go about this? Blog. Waiting for word on the setup of Wordpress accounts for every student at my school. We will be piloting this for the district. I am wanting students to reflect on what they are learning here and comment on other classmates work. We have the Wordpress app on the iPads and will be able to post content easily once setup. Wiki. MediaWiki is already setup and I will shortly begin having students develop our own school-wide wiki. This will be all student created content. I just have to teach them some of the coding before we start. Video. I am hoping there will be no problem posting to Youtube from iMovie on the iPad at school. I have a project starting with my Grade 11's this week. So my fingers are crossed here also. 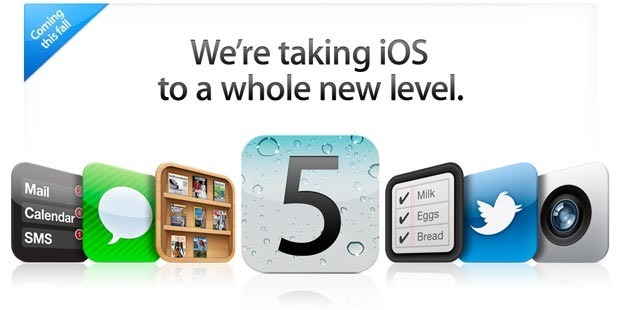 I am looking forward to the October 4th Apple event where they should release new products and especially iOS5. I will be upgrading to this new version right away and hoping that some of the difficulties mentioned will evaporate away. 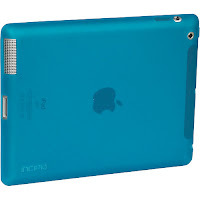 Nowthat the third week has passed, I have decided to do a quick postwith my thoughts on using the iPads in the classroom. Really it'sjust been two weeks of using them in the classroom since the firstweek was spent getting them properly registered in our librarytechnology tracking system. Then there was some time taken to get theWiFi setup on them by our local tech guy. I was inspired to blog weekly because of posts from KeithRispin, another B.C. educator doing a iPad pilot. I have approached this newschool year with both excitement and nervousness. 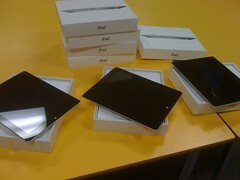 Excitement with thefact that there are 30 shiny new iPads waiting to be used whileteaching Social Studies. Nervousness mostly with the fact that I knewthey were not fully setup and I felt there was some technologyinfrastructure issues that were unresolved. 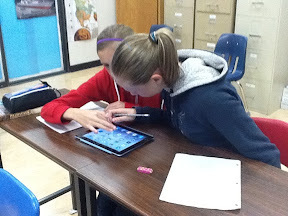 I have started my studentsoff on using the iPads slowly trying to use their strengths andfind out their limitations. I am currently using them in a Grade 8class, Grade 11 class and a Grade 12 class. With my Grade 8 class I usedthem for web research at their desk. Students were able to go beyondtheir textbook and find more details. This went really well andintuitively the students knew how to use the web browser knew how tonavigate on the devices. I had pre-selected some links for them tovisit and posted them on my Moodle page. 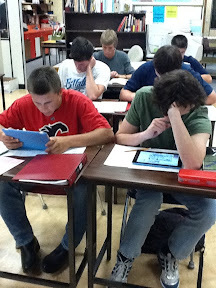 I also had students doingsome map review by using a few different map quiz apps. I think that this is wherethe iPad really shines, we can do extended individual research rightat our desk. No more leaving the classroom, going to the computerlab, students find seats, start up the computer, login, wait, then goon to research. With the iPads it is becoming way more efficient andwe get to work quicker. 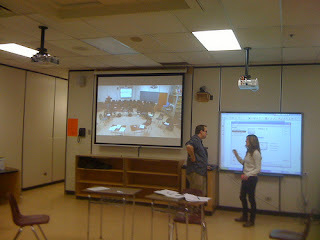 With my Grade 12 Historyclass I dove right in and we tried all kinds of different ways to usethe iPad in class. They were kind of my guinea pig class totry things out. The results have been hit and miss, however thelearning immeasurable. I wanted to really try to reducepaper usage in this class and do much more work on ouriPads. I am posting notes, handouts, and web links all in my classMoodle page. I have experimented a few different ways for students tocomplete some class work. I posted a PDF up on Moodle and they had towrite some answers...this turned out not to be that great becauseeven with the GoodReader app...it was hard for them to edit and typein the blanks. Mostly we waisted a bunch of time and the student werefrustrated. If I only wanted them to highlight then PDF format mightbe okay. Next I posted a Worddocument on Moodle and they were able to download it into the Pagesapp. This worked really well because the students were able to get towork and answer questions right away. However, I think I want to getPages on my Macbook and post documents on Moodle in that formatinstead, there were a few glitches with the formatting ofthe MSWord document. I am having trouble getting the finisheddocument from students because our WiFi won't let us email from thedevices...frustrating, I think it has to do with the proxy server orfirewall. Not sure, but I am trying to get our Tech guys to fix it. 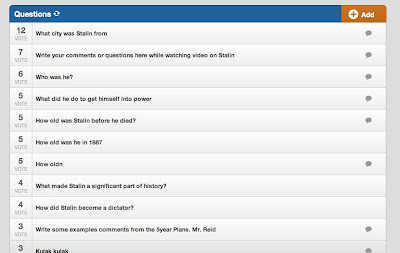 I also had student post someof their work onto Moodle directly in a Forum. This was terrific andI am leaning towards this type of entry in the future. Also thinkingabout EverNote, but this currently doesn't sync to the cloud. Mightalso be a proxy server or firewall issue. In the Grade 11 class I havealso been posting work in Moodle and have used MSWord format thatallows students to edit the document in Pages. I will be making alotof use of Moodle forums also in this class. 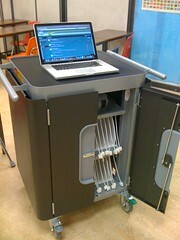 I am waiting for all mystudents to get Wordpress accounts hosted on our server- our schoolwill be piloting this. I am hoping to use this for students to postonto and create a sort of e-portfolio to showcase their learning overthe term. It has been a good week,still some glitches to work out with the district tech guys. I amgetting alot of support from my principal and district tech staff, soI am hopeful the these issues will work themselves out over the nextweek. 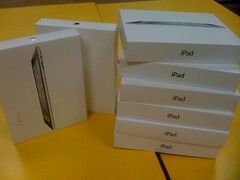 I am awaiting the hardware arrival of the first batch of Apple iPads to WSS in Kamloops, BC. They are going to be used mostly for Social Studies and for Astronomy classes. Our schools new and improved WiFi network will enable this project to go ahead. It was really a surprise that this project was approved and that the funds were somehow found. In a later post I will explain how I got it approved. I am also planning on using this blog to chronicle the implementation of a class set of iPads on the school and learning of students. Also we will share our experiences and best apps around for educational use. How are the iPads going to be used in the classroom? Again a future post. Sorry you will have to wait, but I wanted to start the blog somewhere.